With spring and summer around the corner, we are dying to know what the big hair trends are. And how do we play with different looks and still keep our locks looking healthy? Who better to ask than Zoe Adams, Artistic Director + Creative Colour Director from one of London’s best hair salons - Taylor Taylor. What inspired you to become a colourist? I didn’t really want to be a colourist at the beginning. I started as a stylist and that was more interesting for me then, but after training as a colourist and as the new techniques and colour products started coming out, I felt that it was more me. I could really let my creativity loose and it felt more and more exciting. My colour obsession came into effect when I worked in Ibiza. I wanted to recreate that sun-drenched/ kissed look but in the most natural as possible way. That as when Balayage was just hitting the high-street. It was pretty much perfect timing and I have not looked back. What makes you the most excited? I love big colour changes and total transformations as these are the most challenging and most exciting for me. I can really let loose and create something super personal and perfect for each client. I still have a passion for my Balayage technique, now honed to perfection and I am now starting to play with the more vivid colourful tones such as pastels and neon’s, but within a Balayage so that it had an underlying feeling of being striking but natural. Basically fusing edge with elegance. What do you advise your clients to do at home to make their colour last longer? 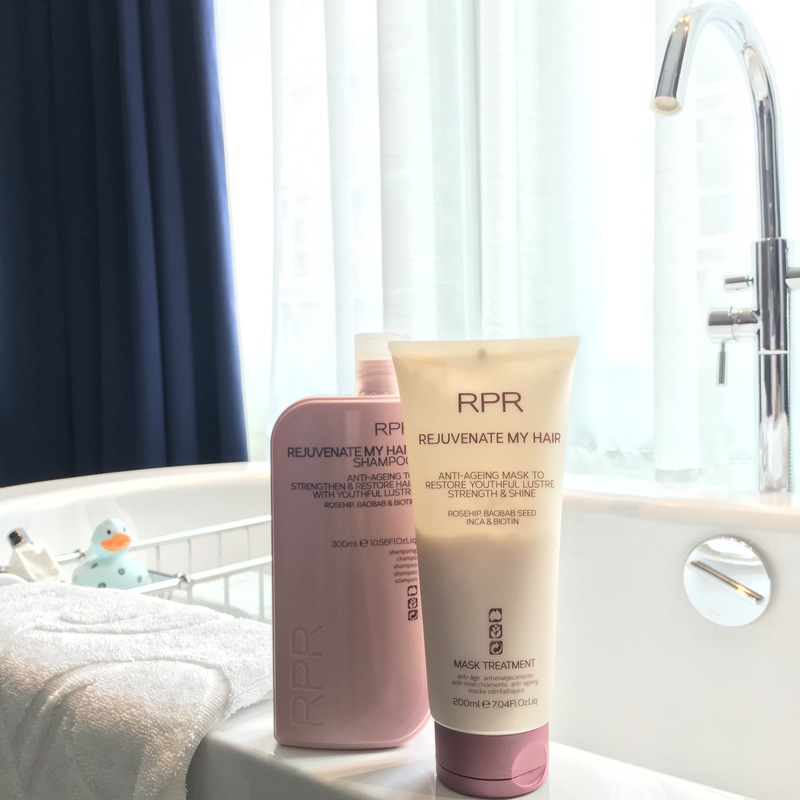 For each individual client, I tailor their home care and give them a personalised colour conditioner to refresh at home. Using natural brands for your home products such as Lore Originals which excludes sulfates is key. Sulfate is the ingredients that strip out colour. And, most importantly, UV protection! What is the hair product you can’t live without? Olapex is the must-have product that I cannot live without! I just couldn’t do my job without it. It really gives my clients the best possible outcome from their time with me and really enhances my work. I can reach colour lightening levels that were once not possible and of course, healthy hair is the bases for any brilliant look. What do you think will be the top hair colour trend for this spring/summer? With the new release of Wella Colour create range I feel that high impact colours such as vivid strong colours and neons are about to make their mark- think NYFW. 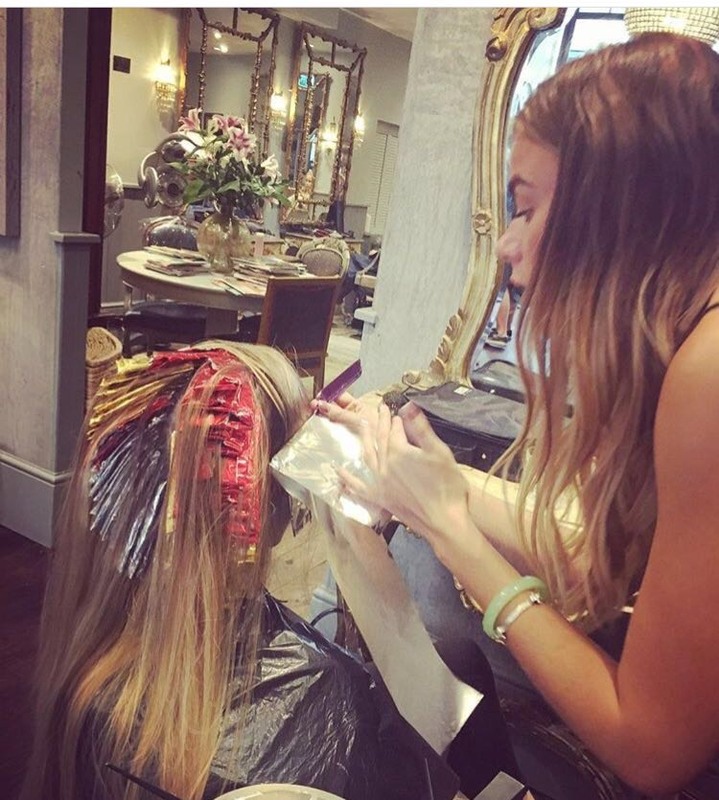 On a more commercial side, balayage is not going anywhere fast. I am just developing new techniques and freehand applications to achieve different variations and looks. Whose hair have you not coloured but would love to? There are 2 people I would LOVE to colour… Kate Moss because I feel that my glossed out, freehand, blond techniques would really suit her. My approach to condition and healthy hair would also work wonders on her overall look. Also Abra, Atlanta based R&B singer, is someone I’d also like to look after as she has a really natural look but with her music and attitude, I feel I could give her something with a little more edge to suit her style. Lash extensions continue to top the list as one of the most popular beauty treatments. Many of you will have achieved great and natural looking results, while others will have had some bad experiences (or seen some crazy looking lashes on others during your commute to work- we have). One thing we know is that long-term continous use of extensions will cause damage to your natural lashes since the individual extensions are glued to your own. If like us, you want to keep things natural, take a break from using your eyelash curlers or just need something to keep your lashes looking good between your extension cycles, then we have the perfect treatment for you: Lash Curl UP. 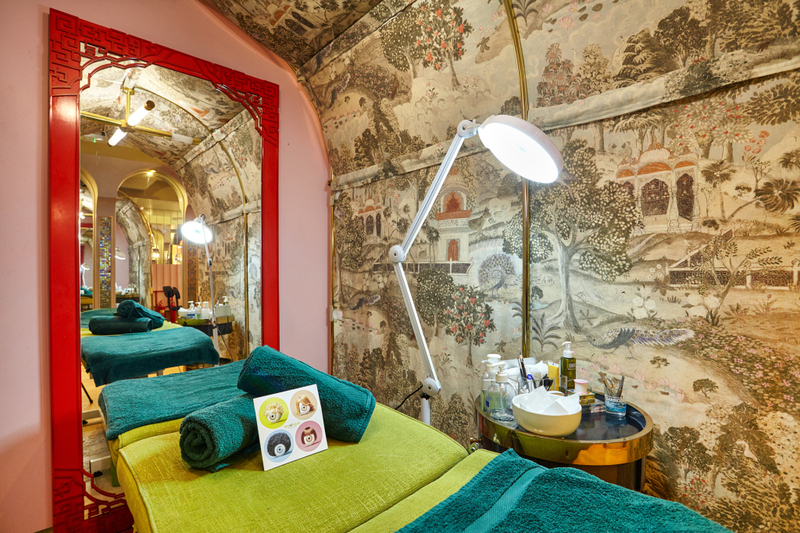 Browhaus, with branches around the world, is known for its excellent beauticians and service when it comes to anything to do with eyebrows, lashes or hair removal. The Curl Up lifts your lashes from the root to look like you’ve just used the best lash curlers, except the result lasts for about 3 months which is the life span of an eyelash. The therapist starts the session by discussing the kind of curl desired, a larger curl will lift long straight lashes and short lashes benefit from tighter curls. We recommend the tight curl for maximum result. The treatment itself takes about 45 minutes.The therapist paints perming solution on to eyelashes and sets them around a silicone tube. Eyelashes are then left to perm.You will either snooze off or like us, start singing along to the good songs playing. The therapist then removes the solution and rinses your eyes gently and Voila! Your lashes are curled from the root up. For maximum wow effect we recommend combining Curl Up with Lashgraphy, which is an eye lash tint. We especially love the blue-black tint which is really striking. All Browhaus treatments require a patch test 24-hour prior to treatment to ensure against allergic reactions, so there’s no need to worry if you have sensitive skin. Lash Curl Up costs £48 and Lashgraphy £15. Browhaus also specialises in treading, semi permanent eyebrows and semi permanent lip tint. As women we all know the pain of cellulite all too well. Numerous studies have shown that 80-90% of women worldwide are affected by them. How many of us haven’t spent hours doing extensive online research on why cellulite appear, how we can reduce them and which creams genuinely work in evening out the dimples or uneven skin within the thigh areas? The beauty team at NUIT has just discovered a body skincare line from independent Swiss skincare company skin689®. 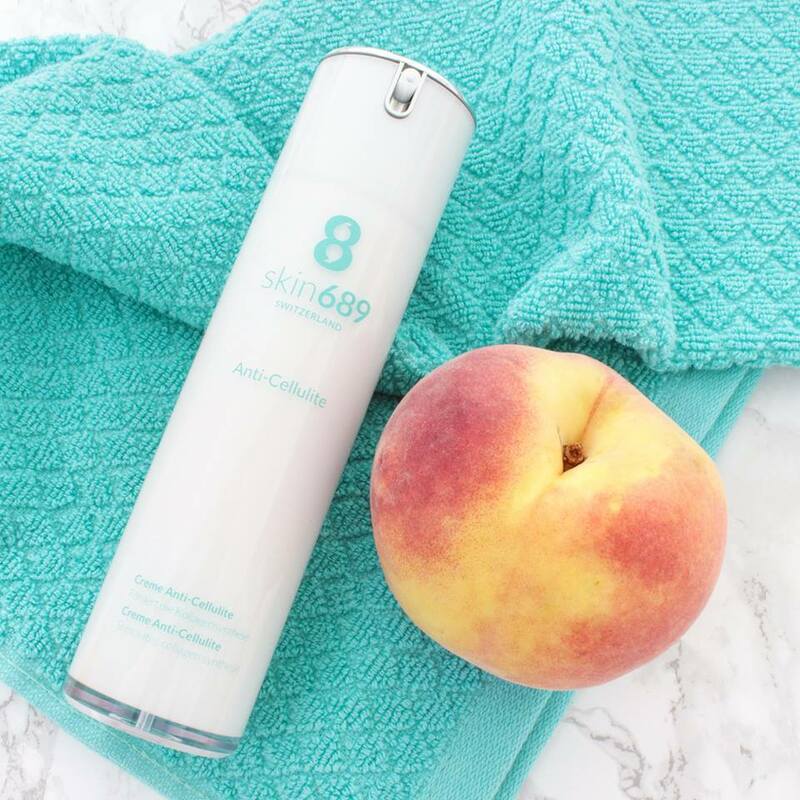 Unlike other brands on the marketplace which normally uses caffeine to reduce water/fluid retention, skin689® ‘s Anti-Cellulite cream has a patent-pending ingredient called CHacoll®. It is CHacoll® that is able to create collagen synthesis within the subcuteous tissue, and therefore create firming smoother skin. This is the main difference between it and everything else on the market, the fact that this product can build collagen fibres. We found out that this product was tested by dermatest, a reliable global research and skin institute and their verdict was that it has ….”visibly better Anti-Cellulite effect than all products previously tested by Dermatest”. The full body range also includes a neck and décolleté cream, a firm skin upper arms emulsion and a bio-cellulose sheet face mask. The décolleté cream promotes the regeneration of the collagen and elastin network in the neck and bus area, providing additional firmness and visibly reducing wrinkles. We love how light this cream is and does not cause any breakout unlike many other heavy décolleté products. The bio-cellulose sheet face mask has become our favourite travel mask. It soothes and refreshes the skin instantly. Going out and want to look smooth and fresh fast? Then pop on this mask for instant tone and eradication of those fine lines. This collagen based mask will calm irritated skin instantly and a favourite among people with sensitive and drier skin types. We can’t get enough of the smell of fresh cut roses which reminds of summer garden days. Our favourite feature to this mask is that it’s the instant quick fix before an important event. It smoothes lines and creates a perfect canvas for make-up application. Rosy Perfection. Decadence and luxury are made accessible with this Caviar Night Cream. 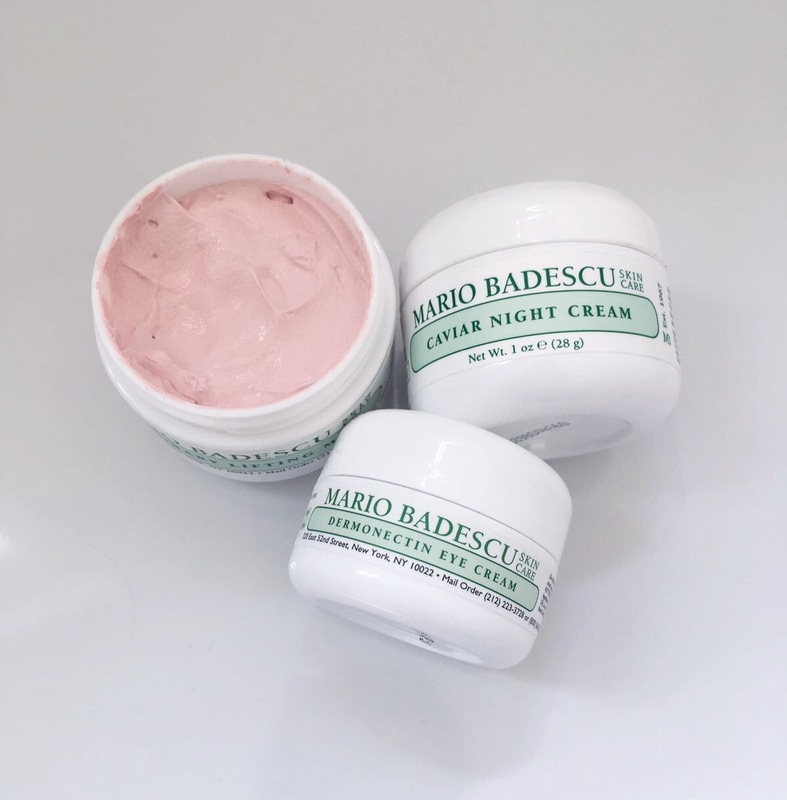 When you first apply this cream it is a smooth velvet texture that soon turns into a nourishing balm. Be sure to use tiny amounts and then built it up. We love using it as an overnight mask treatment (don’t be afraid to apply generously) and waking up to the most glorious soft and brightened skin! If you’ve got an extremely dry eye area and usual eye cream or eye gels disappear when you apply it then we suggest this little number. It is not only an eye cream but an overnight treatment for the eyes. Formulated with the richest anti-oxidents- Vitamin A & E + coconut oil, it creates supple radiance, from the moment you get those peepers open in the morning. Let’s face it, the bronzed goddess look is one that never goes out of fashion. We associate a tan with being healthy, but it’s easy to get lost in the jungle of bronzing products. If you like a natural look then here’s a few of our absolute favourites. This is the most natural bronzer on the market. If you read reviews on it, you will often see complaints about the lack of pigmentation because it doesn’t instantly show on the brush but that doesn’t mean it’s not there. It’s perfect for building up, looks natural even if you’re not wearing any other make up. It simply warms the complexion and is more of an all over face bronzer which you can use heavier bronzer over to highlight cheekbones. This award-winning bronzer is a long time favourite of ours. It comes with a small natural-bristled brush which makes it easy to carry out in your make-up bag. This bronzer is perfect for those that want to avoid the tangerine look. The shade is very natural, blendable and great for contouring. A few drops of this mixed with your foundation and voila, an all over sun-kissed look. This product blends effortlessly leaving you looking flawless while protecting your skin with an SPF15. You can build this up pretty intensely when contouring, just blend with your fingers or a brush. 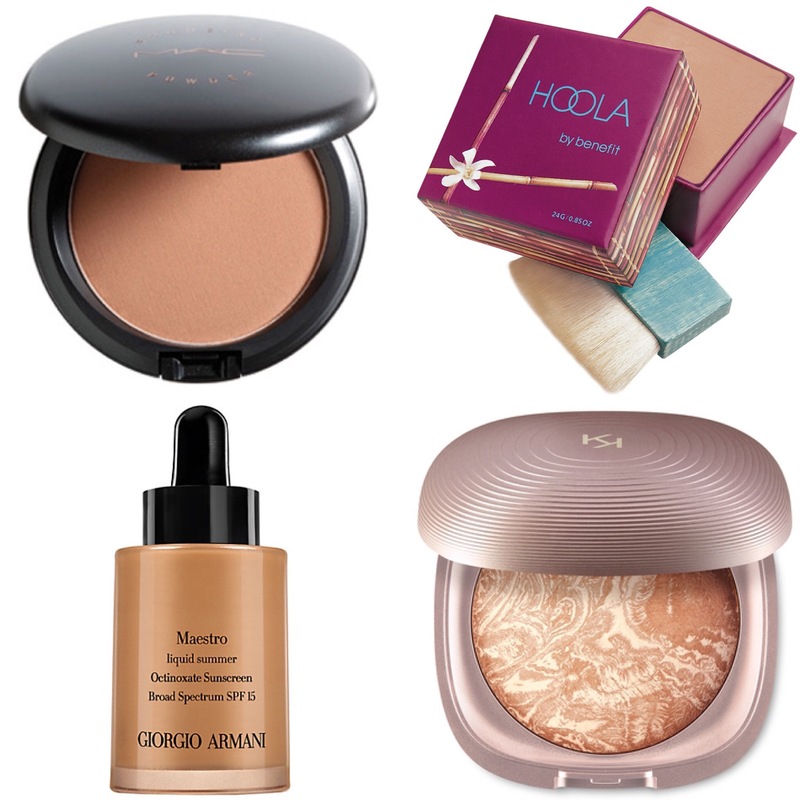 This liquid bronzer is designed to warm and brighten the skin and it delivers 100%. We have no other word to describe this product other than: transformation. This silky soft bronzer gives you a beautiful and glowing tan that’s so natural that it will have your colleagues and friends asking you when you got back from holiday. It’s delicately scented which will have you feeling luxurious. We recommend buying the summer2.0 face brush for the perfect application. Sweep across face, neck and décolletage.